"A neutral mode of taxation is conceivable that would not divert the operation of the market from the lines in which it would develop in the absence of any taxation." Economists have long believed that government's tax and expenditure policy either is, or can readily be made to be, neutral to the market. Free-market economists have advocated such neutrality of government, and even economists favoring redistributive actions by government have believed that the service activities and the redistributive activities of government can easily be distinguished, at least in concept. The purpose of this paper is to examine the nature and implications of fiscally neutral government; the paper argues that all government activities necessarily divert incomes, resources, and assets from the market, and therefore that the quest for a neutral tax or expenditure policy is an impossible one and the concept a myth. We may analyze market institutions according to the following categories: (a) what and how much they produce, and (b) how much and from where the institution receives monetary funds. For every institution produces goods or services and receives money. There are two types of market institutions. One is the business firm. The firm is guided by its expectations of monetary income from customers in payment for its products. The firm receives funds from two sources: (b1) customer expenditures, and (b2) entrepreneurial investments. Entrepreneurial investments are monies invested in the firm to purchase or hire factors of production to make goods and services to be sold to customers. The investments are savings spent in anticipation of greater returns from selling products to customers. Although the conspicuous resource and production decisions in the market are made by capitalist-entrepreneurs (by the owners of the firm and its capital assets) these decisions are made in accordance with their expectations of monetary income from customers. In short, businessmen are guided by the quest for monetary profits and the wish to avoid monetary losses, and their forecasting and anticipations must turn out to be good enough to reap profits from their production decisions. The intake of investment funds into the firm, then, is subordinate to the expected profit to be made from sales to customers. Business firms and the structure of capital assets in the economy, as Austrian school economists have shown, are not a homogeneous lump: Production is a structure of stages, a latticework that moves from the most "roundabout" processes of production - the stages of production most remote from the consumers - down to nearer processes, and finally down to the production and sale of goods and services to the ultimate consumers. The ham sandwich at the local coffee shop begins with the mining of ore for tools and machines and the growing of grain to feed hogs, and continues in stage after stage down through the wholesale and retail stages, until it arrives in the maw of the final buyer, the consumer. Thus, for our purposes, we can short-circuit the structure and refer to the consumer as the basic source of the income of business firms; ultimately, it is consumer demand that provides profits or losses to business firms and either vindicates or not prior production decisions by investors. For market firms, therefore, there is no mystery about the determination of their production decisions and income. The former are determined by firms' anticipation of consumer demand, and the latter by the reality of that demand. Hence, firms receive their income, in the final analysis, from serving consumers. The more efficiently and ably the firms anticipate and serve consumer demand, the greater their profits; the less ably, the less their profits and the more they suffer losses. Incomes to factors and entrepreneurs on the market, therefore, are tied inextricably to the effective satisfaction of consumer demand, a satisfaction that depends on the successful forecasting of the market conditions that will exist when and after the goods or services are produced. Income to the firm and to factors from consumers is linked inextricably to the satisfaction the consumers derive. In a deep sense, therefore, income to producers on the market reflects benefits to consumers. The second type of market institution - after the business firm - is the voluntary nonprofit membership organization: the bridge club, lodge, ideological organization, or charitable agency. Here, too, income and benefit are cognate. Income is no longer divided between investors and consumers. All income is obtained from members, either in the form of regular dues or systematic or occasional donations. The purpose of the organization is not to earn a monetary profit, but to pursue various purposes desired by the income-paying members. In a sense, then, the members are the "consumers," except that they consume the services of the organization not by purchasing a product but by helping the organization pursue its goals. The member-donors are at the same time the consumers and the investors, the consumers and the makers of the production decisions. The organization will employ as much of its resources as the member-consumer-donors desire to contribute to the pursuit of their goals. Membership organizations, while clearly part of the market, are necessarily limited in their scope, for they do not follow the division of labor necessary for most market production. In virtually all other cases of production, the producers and the consumers are not one and the same: The producers of steel bars do not, Heaven forfend, use up those selfsame bars in their own consumption. They sell the bars for money and exchange the money for other goods that they would like to consume. In the case of membership organizations, however, the member-investors are the consumers of the service. Even where the explicit goals of the organization are to help non-donors, this rule - that the consumers guiding production decisions are the donors - still applies. Suppose, for example, the organization is a charity giving alms to the poor. In a sense, the purpose is to benefit the poor, but the actual consumers here, the guides to production decisions, are the donors, not the recipients of charity. The charity serves the purposes of the donors, and these purposes are in turn to help the poor. But it is the donors who are consuming, the donors who are demonstrating their preference for sacrificing a lesser benefit (the use of their money elsewhere) for a greater (giving money to the charity to help the poor). It is the donors whose production decisions guide the actions of the charity. Nonprofit organizations also purchase and hire factors of production. To a large extent, these organizations compete with business firms for factors; to that extent, they must pay the factors at least the discounted marginal product they can earn elsewhere. To some extent, however, the factors may be specific to these organizations; to that extent their marginal product incorporates their service to the donor-consumers, that is, the extent to which they pursue the same goal as the sources of income. Thus, in both the profit-making and the nonprofit sectors, in their different forms, production decisions are guided by service to the consumers. The main difference is that in the case of business firms, the consumers are separate from the producers, and (we hope) recoup producers' investments by buying the products of the firm; while in nonprofit organizations, the consumers are the donor-investors. We have been describing two polar cases: the business firm, and the nonprofit organization. Probably most real-world institutions on the market fall into one of these categories. In some cases, however, an organization can partake of both modes. Let us consider two cases. First, a charitable organization, instead of, or in addition to, giving away alms, may sell some products to the poor at a low, subsidized price. In this case, while the donors provide the overall thrust and guidance, part of the feedback gained by the firm is willingness to buy goods by the recipients. In some sense, the recipients of alms provide a guide to their interest in the organization. There are now two sets of consumers: the donors, and the charity recipients, each of whom demonstrates its preference for this organization in contrast to other uses for its money. But the overall purpose of the organization is not to make a profit, but rather to serve the values and goals of the donors, and so the donors must be considered the regnant consumers in this situation. Having dealt with this idyll of harmonious and mutually beneficial exchanges, let us now introduce a discordant note. A thief now appears, making his living by robbing and coercively preying on others: The robber obtains his income by presenting the victim with a choice: your money or your life (or, at least, your health) - and the victim then yields his assets. Or, to be more precise, the robber presents the victim with a choice between paying immediately or waiting until the robber injures him. In this situation both parties do not benefit; instead, the robber benefits precisely at the expense of the victim. Instead of the consumer's paying, guiding, and being benefited by the producer's activity, the robber is benefiting from the victim's payment. The robber benefits to the extent that the victim pays and loses. Instead of helping expand the amount and degree of production in society, the robber is parasitically draining off that production. Whereas an expanded market encourages increases in production and supply, theft discourages production and contracts the market. It should be clear that the robber is not producing any goods and services at all. In contrast to consumers who purchase goods and services, or who contribute voluntarily to a nonprofit organization, no one is voluntarily purchasing from or contributing to our criminals at all. If they were, the criminals would not be criminal. In fact, what distinguishes a criminal group is that its income, in contrast to that of all other organizations, is extracted by the use of violence, against the wishes or consent of the victims. The criminals, then, are "producing" nothing, except their own income at the expense of others. It has been maintained that the payments by the victims are "really" voluntary because the victim decides to transfer his funds under penalty of violence by the robber. This kind of sophistry, however, destroys the original, as well as the common-sense, meaning of the term "coercion" and renders all actions whatever "voluntary." But if there is no such thing as coercion and all conceivable actions are voluntary, then the distinctive meaning of both terms is destroyed. In this paper, we are defining "voluntary" and "coercion" in a common-sense way: that is, "voluntary" are all actions not taken under the threat of coercion; and "coercion" is the use of violence or threat of violence to compel actions of others. Robbery at gunpoint, then, is "coercion"; the universal need to work and produce is not. In a trivial sense, the victim agrees to be victimized rather than lose his life; but surely, to call such a choice or decision "voluntary" is a corruption of ordinary language. In contrast to truly voluntary decisions, where each person is better off than he was before the prospect of exchange came into view, the robbery victim is simply struggling to cut his losses, for, in any case, he is worse off because of the entry of the robber onto the scene than he was before. Just as the claim that the victim's payment to the thief is "voluntary" is patently sophistical, so is it absurd to claim that the robber is "producing" some service to the victim or anyone else. The fact that the victim paid him revenue proves no demonstrated preference or value; it proves only that the victim prefers the imposition to being shot. The robber may well spin elaborate arguments for his productivity and for his alleged benefit to the victim. He may claim that by extracting money he is providing the victim a defense from other robbers. In attempting to achieve and maintain his monopoly of loot, he may very well act against other robbers trying to muscle in on his territory. But this "service" scarcely demonstrates his productivity to the victims. Only if the victims pay the robber voluntarily can any case be made for a nexus of payment and benefit. Since payments are now coercive instead of voluntary, since the consumer has now become the victim, all arguments offered by the criminal and his apologists about why the victim should have been eager to pay the criminal voluntarily are in vain, for the stark and overriding fact is that these payments are compulsory. The robber takes the funds extracted from the victims and spends them for his own consumption purposes. The total revenue collected by theft we may call tribute; the expenditures of the robbers, apart from the small sums spent on burglars' tools, weapons, planning, and so on, are consumption expenses by the robbers. In this way, just as income and assets are diverted from the productive sector to the robbers, so the robbers are able to use that money (in their purchasing) to extract productive resources from the market. We conclude, then, that the activities of thieves are most emphatically not neutral to the market. In fact, the robbers divert income and resources from the market by the use of coercive violence, and thereby skew and distort production, income, and resources from what they would have been in the absence of coercion. If, on the contrary, we adhere to the view that theft is voluntary and criminals productive, then criminal activities, too, would be neutral to the market, in which case the entire problem of neutrality would disappear by semantic legerdemain, and everything by definition would be neutral to the market because the rubric of the market would encompass all conceivable activities of man. In that case, nothing could be called "intervention" into the market. By labeling aggressive violence as "coercion" and as an interference into the market, we avoid this kind of absurd trap, and we cleave closely to the commonsense view of such concepts as "coercion," "voluntary," "market," and "intervention." We are now in a position to analyze government and its relationship to the market. Economists have generally depicted the government as a voluntary social institution providing important services to the public. The modern "public choice" theorists have perhaps gone furthest with this approach. Government is considered akin to a business firm, supplying its services to the consumer-voters, while the voters in turn pay voluntarily for these services. All in all, government is treated by conventional economists as a part of the market, and therefore, as in the case of a business firm or a membership organization, either totally or in part neutral to the market. Oppenheimer then proceeded to identify the State as the "organization of the political means." Or, as the libertarian writer Albert Jay Nock, vividly put it: "The State claims and exercises the monopoly of crime.... It forbids private murder, but itself organizes murder on a colossal scale. It punishes private theft, but itself lays unscrupulous hands on anything it wants, whether the property of citizen or alien." Or, as Ludwig von Mises points out, this regularization establishes a systematic coercive hegemonic bond between the rulers of the State and the subject that contrasts vividly with the contractual bond of mutual benefit. But if taxation is coercive and a system of organized theft, then any "services" that the government may supply to its subjects are beside the point, for they do not establish the government as voluntary or as part of the market any more than a criminal band's providing the "service" of defending its victims from competing bands establishes that its services are voluntarily paid for. These services are not voluntarily paid for by the taxpayers, and we therefore cannot say that the taxes measure or reflect any sort of benefit. In the case of voluntary purchase on the market, as we have seen, the consumer demonstrates by his purchase that he values the good or service he buys more than the price he pays; but in paying taxes he demonstrates no such thing - only the desire not to be the recipient of further violence by the State. We have no idea how much the taxpayers would value these services, if indeed they valued them at all. For example, suppose that the government levies a tax of X dollars on A, B, C, and so on, for police protection - for protection, that is, against irregular, competing looters and not against itself. The fact that A is forced to pay $1,000 is no indication that $1,000 in any sense gauges the value to A of police protection. It is possible that he values it very little, and would value it less if he could turn to competing defense agencies. Moreover, A may be a pacifist; so he may consider the State's police protection a net harm rather than a benefit. But one thing we do know: If these payments to government were voluntary, we can be sure that they would be substantially less than present total tax revenue. Why? Because if people were willing to pay voluntarily, then there would be no need for the apparatus of coercion so intimately wrapped up in taxation. A second important point is that, in contrast to the market, where consumers pay for received benefits (or, in nonprofit organizations, where members pay for psychic benefits), the State, like the robber, creates a total disjunction between benefit and payment. The taxpayer pays; the benefits are received, first and foremost, by the government itself, and secondarily, by those who receive the largess of government expenditures. But if, under coercive taxation, tax payments far exceed benefits to the victim, and if benefits accrue to the government itself and to the recipients of its expenditures at the expense of taxpayers, then it should be quite clear that it is impossible for taxes ever to be neutral to the market. Taxation, whatever its size or incidence, must distort market processes, must alter the allocation and distribution of assets, incomes, and resources. Despite the fact that government and taxation are patently coercive, economists have devoted considerable energy, in numerous ways, to maintaining the contrary. If government and taxation were truly voluntary, then taxation would be akin to a market payment, and government could be deemed a part of, and therefore neutral to, the market. By lumping government along with private expenditures as a gauge of the output of the economy, the conventional national income statisticians are implicitly assuming that government is neutral to the market because government provides those "services" that "society" desires it to supply. Government "output" is equated to the salaries paid to the bureaucracy. By employing the seemingly precise method of segregating some government expenses as mere "transfer payments" - the taxing of Peter to pay Paul - rather than productive purchases of goods and services, the national income statisticians are in reality making an unsupportable ideological judgment. For in what sense does the hiring of bureaucrats, or the purchasing of paper clips, add to the production of the economy and therefore become somehow voluntary, while transfer payments are frankly taxing one group to subsidize another? As we shall see further below, all taxation necessarily involves taking from one group to subsidize another; therefore all government expenditures, taken together, constitute one giant transfer payment. Elsewhere, Hicks explains that in constructing national product figures, "the social accountant ... must work upon some convention which is independent of his individual judgment." It is remarkable that Hicks can find security from the shoals of individual judgment in assuming that Nero or Robespierre embody "the actual wants of society." Can he really believe that this fictive "society" and its head of State adequately represent the preferences of individual citizens? In the first place, even if there were such things as collective goods, government supply would establish neither its voluntarism nor its neutrality. Even if there were no other way to supply these services, taxation to provide them is still compulsory. And since it is coercive, there is no standard, as there is on the market, to decide how much of these services to supply by taxation. And the more the government provides, the less people are allowed to spend on their own private consumption. No matter how "divisible" the service, furthermore, a collective good is not quite like the sun: The more resources the government expends, the greater will be its output. These resources will have to be extracted from other potential products. Take, for example, "defense" or police protection, which is often considered to be provided as a homogeneous lump to everyone. But every good or service in the world, "collective" ones included, is provided, not in lump sum, but in marginal units. Yet strangely, economists, trained to think of marginal units everywhere else, suddenly start referring to defense as a "lump" when discussing government. In reality, however, there is a vast range of "defense" services that the government (or any other defense agency) could supply to its customers. To take two polar extremes, the government could supply one unarmed policeman for an entire country, or it could sink most of the national product into providing an armed bodyguard, replete with tank and flame throwers, for every citizen. The question that must be answered by any defense agency is not whether or not to supply defense, but how much defense to supply to whom? In the same way, the question confronting a steel company is not whether or not to produce steel, but how much steel of various grades and types to supply. But this failure to provide rational criteria for amounts and types of collective services is an inherent flaw in any provision by government. The market's price system and profit-and-loss test tell private firms how much of what kind of steel to produce; rational criteria for satisfying consumers most efficiently are inherent in the free market. But government can have no such criteria. Since the consumers of defense do not pay for the service, since taxes do not measure the service, and since the government does not have to worry about losses that can be recouped by further taxation, there are no criteria of how much defense to provide to whom. Decisions are purely arbitrary, as well as coercive. If, on the other hand, defense were provided by private firms on the market, then these firms would, as in the rest of the market, supply efficiently the amounts and types of protection desired by particular customers. Those customers, for example, who desired and were willing to pay for round-the-clock bodyguards would do so; those who felt no need for protection - or pacifists aghast at the very idea - would pay nothing; and there might be a large spectrum of services in between. More specifically: Only a minority of specific individuals find themselves in actual need of police or judicial protection during any given period. If A and B are attacked, the police can spring to the aid of these specific persons. It will be objected that even if only a few persons are actually attacked at any one time, no one can determine who will be attacked in the future, and so everyone will want to be sure of protection in advance, thus salvaging the notion of a "collective want." But, again, there will be a spectrum of opinion among individuals. Some persons may feel pretty sure that they will not be attacked, and will therefore be willing to opt out of protection, to take their chance rather than pay a protection tax. Others will be confident of their own ability to repulse an attack, or would only patronize another, competing private defense agency. Others may fear an attack so little that the cost of paying protection will not be worth the benefit. On the free market, individuals would be free to choose any or none of these protection-insurance packages. Even if it be conceded that not all people demand protection, it might still be argued that defense is a "collective good" because no one can be excluded from receiving its benefits. But surely if the inhabitants of a particular block refuse to pay for the police protection, the police may simply exclude that block from its patrols or other services. In the case of judicial protection, the conventional case for a collective good is even weaker. For surely a court, financed by voluntary payment (either by insurance premium or by fee-for-service), can refuse to hear the case of a nonpaying plaintiff. Even in the case of national defense, which seems to be a particularly strong example of a collective good, the pacifist or anarchist receives a harm rather than a good, and exclusion can be practiced in such ways as not rushing troops or planes to defend nonpaying areas, or at the very least not to defend them as rapidly and as diligently as areas that do pay. Thus defense cannot be a collective good so long as only one pacifist or one anarchist exists in the society, for these persons will receive a harm rather than a benefit when they receive the "service" of coercive defense. And defense is not a collective good because its recipients can be excluded and separated. To service more persons generally requires more judges and courtrooms. If more facilities are not acquired, additional users will impose costs on others, in the form of longer days for trial and/or less judicial time spent on each case. It is costless to serve additional persons only if they have no disputes. To Professor Buchanan, the "classic" example of a collective good is the lighthouse. The beams of the lighthouse are indivisible: "If one boat gets all the light beams, all boats may do likewise." Or, as Samuelson has put it, "A businessman could not build it for a profit, since he cannot claim a price from each user." The theory is that it would be virtually impossible for a lighthouse keeper to row out to each boat to demand payment for use of the light. And that hence lighthouses have always been supplied by government. Moreover, in a sense the collective goods case for radio and television proves too much. For movies may also be said to be "costless" if additional viewers fill empty seats in a theater. Must movies, too, be nationalized, be supplied only by government, and perhaps be free to all? Again, this argument proves too much. For not only patents and inventions are produced by creators: There is also art, sculpture, music, literature, philosophy. Are we to say that all these products of the human spirit are "collective goods" because we cannot be fully excluded from enjoying the products of Beethoven, Shakespeare, or Vermeer? Must all artists therefore be nationalized? Another commonly cited example of a collective good is insect control by airplane spraying. It is alleged to be impossible to exclude land underneath from being sprayed, and the marginal cost of adding more land sprayed is zero. But if new residents live in previously uninhabited areas, then extra cost is incurred in servicing them, and the same is true if they are engaged in activities that attract insects. More airplane time and fuel must be used as well as more spray. Furthermore, the airplane could often, if it wished, exclude specific parcels of land from its spray. And more important, many of those receiving this "service" have not wanted it and have objected to the spraying as vigorously as the pacifist has protested the use of violence in defense. Indeed, a shift in public attitudes toward chemical sprays has greatly reduced their use in recent years. But if some people consider a service such as a spray as "bad," how can it be an indivisible, positive collective good? It seems clear, then, that voluntary rather than governmental supply of the collective good would be possible in every case; the only objection might be, not that the good - defense, firefighting, or whatever - could not be supplied, but that "too little" would be supplied. But that brings us to the second line of argument by the proponents of government. But this argument generates far more difficulties than it solves. It proves too much in many directions. In the first place, how much of the deficient good should be supplied? What criterion can the State have for deciding the optimal amount and for gauging by how much the market provision of the service falls short? Even if free riders benefit from collective service X, in short, taxing them to pay for producing more will deprive them of unspecified amounts of private goods Y, Z, and so on. We know from their actions that these private consumers wish to continue to purchase private goods Y, Z, and so on, in various amounts. But where is their analogous demonstrated preference for the various collective goods? We know that a tax will deprive the free riders of various amounts of their cherished private goods, but we have no idea how much benefit they will acquire from the increased provision of the collective good; and so we have no warrant whatever for believing that the benefits will be greater than the imposed costs. The presumption should be quite the reverse. And what of those individuals who dislike the collective goods, pacifists who are morally outraged at defensive violence, environmentalists who worry over a dam destroying snail darters, and so on? In short, what of those persons who find other people's good their "bad?" Far from being free riders receiving external benefits, they are yoked to absorbing psychic harm from the supply of these goods. Taxing them to subsidize more defense, for example, will impose a further twofold injury on these hapless persons: once by taxing them, and second by supplying more of a hated service. Since the tax-and-subsidy, or government-operation, route abandons the process of the market, there is no way of knowing who the "negative free riders" are, and how much they will be suffering from an increased tax. We do have a pretty good idea, however, that one or more of these people exists: that there is at least one pacifist, anti-dam environmentalist, anarchist opposed to all government actions, and so on, in every society. But in that case, the free-rider as well as the "stronger" collective-good argument for the neutrality of government falls to the ground. If every man has freedom to do all that he wills, provided he infringes not the equal freedom of any other man, then he is free to stop connection with the State - to relinquish its protection and to refuse paying toward its support. It is self-evident that in so behaving he in no way trenches upon the liberty of others; for his position is a passive one, and while passive he cannot become an aggressor.. .. He cannot be coerced into a political combination without a breach of the law of equal freedom; he can withdraw from it without committing any such breach; and he therefore has the right to withdraw. "S.R." then proceeds: "Is a man who refuses to pay for incidental advantages he has not solicited an aggressor? Is it a breach of the law of equal freedom to withdraw from a combination that, in working for itself and pursuing its own benefit, indirectly benefits one who is perfectly willing to forego the blessings of the uninvited beneficence?" "S.R." then points out that Spencer is implicitly modifying his equal freedom formula to say that anyone can do whatever he wishes, provided not only that he does not infringe on anyone else's freedom, but also provided "that no one confers upon him benefits which he cannot wholly surrender while remaining a producer and trader." Thus the free-rider argument proves far too much. After all, civilization itself is a process of all of us "free-riding" on the achievements of others. We all free-ride, every day, on the achievements of Edison, Beethoven, or Vermeer. When capital investment increases, and technology improves, the real wages of workers and the standard of living of consumers increase, even though they have contributed nothing to these advances. By simply continuing to work and consume, laborers and consumers receive the benefits of the inventions and investments of others without paying for them. So what must we infer from this? Are we all to wear sackcloth and ashes? If our neighbors are wiser, prettier, or happier, we all benefit in countless ways. So what must we do about it? Must we all be taxed to subsidize their beauty and wisdom? And if people feel that not enough beauty, wisdom, inventions, police protection, and so on, will be provided by consumer payment and because of free riders, they are perfectly at liberty to subsidize provision of such goods on their own, individually or through societies or foundations. By doing so, the donor will demonstrate that, to him, the expected psychic benefit from his subsidy is worth more than the money he pays. It has been objected that the "transaction costs" of identifying the free riders or channeling donations, or organizing boycotts or of making conditional contracts, are "too high," and that therefore those who want these services are justified in turning to the government to force the free riders to pay. There are several grave fallacies in the transaction costs argument for taxation. In the first place, it ignores the transaction costs of the government process itself. The implication is that government is a costless Mr. Fixit, levitating angelically above the fray and busily correcting "market failures." If private persons have difficulty in identifying free riders, will government be able to limit its taxation to free riders only? What of the external costs of the inevitable taxation beyond the free rider? And, as we have seen, since market and demonstrated preference through individual action is not available to government, there is no way that government can either identify the free riders or the "negative free riders," or to discover how much benefit each person would derive from the subsidized supply and therefore how much each person should be taxed. There are also the inevitable grave inefficiencies in the political supply of goods and services and in the political process itself that need not be expounded here. At any rate, there is no reason to assume that the transaction costs of turning to government will be lower than those of private operation, and every reason to assume the opposite. Second, another definitive rebuttal of the transaction-cost argument for government is the impossibility of comparing transaction costs, not simply of private and government action, but at any time and in any situation. For costs, like utilities, are subjective, and therefore nonmeasurable and noncomparable between persons. There is no such thing as social transaction costs or any social costs whatever. Any government action will impose enormous psychic cost on the anarchist; any private action will do likewise for the dedicated totalitarian. How are we to compare them? If an entity does not and cannot exist, then it is senseless to take as one's goal that it be minimized. And third, even if transaction costs were measurable and comparable, we must ask: What is so terrible about transaction costs? On what basis are they considered the ultimate evil, so that their minimization must override all other considerations of choice, freedom, or justice? After all, if minimizing these dread costs were truly the be-all and end-all, we could all pledge to obey one dictator, one Brezhnev or Idi Amin, in all things, and then everyone would have the assurance of knowing everyone else's relevant value-scales. Other problems would abound, but at least transaction costs would be forced down to a minimum. This argument adds a heavy dose of mysticism to the other collective goods and external benefits arguments. For how do we know that everyone is voluntarily paying knowing that everyone else is doing so? There is no evidence, there is no social compact whatever to that effect. Is all that they pay supposed to be voluntary, or just some? Are they perhaps in mourning that their payments are not higher? And what of the anarchist and the pacifist and the tax rebel? Is their bitter opposition to taxation only a cloak for their cheerful acceptance? On what basis are we supposed to accept this curious doctrine? In contrast to almost all other economists, J.B. Say was astonishingly clear-sighted about the true nature of the State and of taxation. In Say there was no vain, mystical quest for a truly voluntary State or for a benign quasi-business firm supplying services to the grateful public. Say saw clearly that government supplies services to itself and its favorites, that all government spending is therefore consumption spending by the politicians and the bureaucracy, and that that spending is extracted by coercion at the expense of the taxpaying public. Say bitterly goes on to denounce the "false and dangerous conclusion" of writers who claim that public consumption increases general wealth. "If such principles were to be found only in books," Say went on, "and had never crept into practice, one might suffer them without care or regret to swell the monstrous heap of printed absurdity." But unfortunately they have been put into "practice by the agents of public authority, who can enforce error and absurdity at point of the bayonet or mouth of the cannon." Once again, Say sees the uniqueness of government as the naked exercise of force and coercion. Thus Say is not impressed with the notion, properly ridiculed by Schumpeter, that all of society somehow voluntarily pay their taxes for the general benefit; instead, taxes are a burden coercively imposed upon society by the "ruling power." Neither is Say impressed if the taxes are voted by the legislature: For "what avails it ... that taxation is imposed by consent of the people or their representatives, if there exists in the state a power, that by its acts can leave the people no alternative but consent?" Mere exertion cannot alone produce, there must be capital for it to work upon and capital is but an accumulation of the very products, that taxation takes from the subject: ... in the second place, it is evident, that the values, which industry creates expressly to satisfy the demands of taxation, are no increase of wealth; for they are seized on and devoured by taxation. Any quest for a nonredistributive neutral tax, such as free-market economists indulge in, must succeed in providing criteria for two basic questions about taxes: (a) how much taxes should be paid? and (b) who should pay them? The free market answers questions of "who" and "how much" very easily for its goods and services. But free-market economists have been singularly unsuccessful in providing either of these criteria for taxation. Thus the answer of laissez-faire economists to the former question - that taxation should be limited strictly to protection or defense - founders, not only on the coercive nature of the payment, but also on the nonhomogeneity of the defense service. Defense, as we have seen above, is not a homogeneous lump but a good available in different quantities and qualities, in marginal units. Since the free market has been abandoned in this area, there is no way to arrive at any rational criteria for the optimal total amount or distribution of government defense, or of any other good or service. It might be claimed that neutral taxation could be achieved in one way, if in no other: if the precise amounts that each individual paid in taxes were returned to him in government expenditure. Thus if A paid $1,000 in taxes in a certain year, B paid $500, and C $300, and so on, then A would receive $1,000, B $500, and so on. It might be thought that such a taxation system would be at best absurd; for why construct an elaborate machinery that would simply take and then give back the same amounts to each person? Why then have taxation at all? But there is a grave flaw even in this attempt at a neutral tax: neglect of the bureaucratic handling charge. Few, comparatively, as they are, the agents and employees of the government constitute that portion of the community who are the exclusive recipients of the proceeds of the taxes. Whatever amount is taken from the community in the form of taxes, if not lost, goes to them in the shape of expenditures or disbursements. The two - disbursement and taxation - constitute the fiscal action of the government. They are correlatives. What the one take from the community under the name of taxes is transferred to the portion of the community who are the recipients under that of disbursements. But as the recipients constitute only a portion of the community, it follows, taking the two parts of the fiscal process together, that its action must be unequal between the payers of the taxes and the recipients of their proceeds. Nor can it be otherwise; unless what is collected from each individual in the shape of taxes shall be returned to him in that of disbursements, which would make the process nugatory and absurd. Taxation may, indeed, be made equal, regarded separately from disbursement. Even this is no easy task; but the two united cannot possibly be made equal. Nor would it be less a bounty to the portion of the community which received back in disbursements more than it paid in taxes because received as salaries for official services, or payments to persons employed in executing the works required by the government, or furnishing it with its various supplies, or any other description of public employment - instead of being bestowed gratuitously. It is the disbursements which give additional and, usually, very profitable and honorable employments to the portion of the community where they are made ... and hence, to the extent that the disbursements exceed the taxes, it may be fairly regarded as a bounty. The very reverse is the case in reference to the portion which pays in taxes more than it receives in disbursements. With them profitable employments are diminished to the same extent, and population and wealth correspondingly decreased. The necessary result, then, of the unequal fiscal action of the government is to divide the community into two great classes: one consisting of those who, in reality, pay the taxes and, of course, bear exclusively the burden of supporting the government; and the other, of those who are the recipients of their proceeds through disbursements, and who are, in fact, supported by the government; or in fewer words, to divide it into taxpayers and tax-consumers. Thus if a bureaucrat receives an income of $30,000 per year, and pays $10,000 to the government in taxes, he is in reality not paying taxes at all. His tax payment is a bookkeeping fiction; in reality, he is simply a net tax-consumer to the tune of $20,000. Calhoun has thus shown that the very existence of taxation creates at least two conflicting classes: the ruling and the ruled, and that the ruling class are the net tax-consumers and the ruled the net taxpayers. The ruling classes comprise the full-time politicians and bureaucrats receiving government salaries, as well as the private sellers of goods and services to the governments or recipients of outright government subsidy. There is hence no way for government or for taxation to be neutral. Moreover, the greater the amount and degree of taxation/expenditures by government, the more important will be this unneutrality, this diversion of output and income from producers on the market to the State and the receivers of its largess. The greater the extent of government operation, therefore, the greater the class conflict in the society. At first blush, proportionality appears to leave market distribution the same. If, for example, a tax of 10 percent is levied on all incomes, is not the distribution of incomes left the same (setting aside the above insoluble problem of net tax-consumers)? It is true that if A earns $30,000 a year, B earns $20,000, and C earns $10,000, and each pays 10 percent, the relative proportions of their income after taxes will remain the same as before ($27,000, $18,000, and $9,000). But this question misconceives the very idea of the neutral tax. The point of a tax neutral to the market is not to leave the income distribution the same as if a tax had not been imposed. The point of a neutral tax is to affect the income "distribution" and all other aspects of the economy in the same way as if the tax were a free-market price. Only if a tax has the effect of a surrogate free-market price, only if, in a profound sense, it is part of the market, could it be neutral to that market. And it should be evident that no free-market price leaves income distribution the same. If every market price were proportional to the income of the purchaser, if David Rockefeller had to pay $1,000,000 for a box of Wheaties, then there would be no point in having a higher income, and we would have an extraordinarily complex and unworkable form of compulsory equality of incomes. Other writers have even used the benefit principle to justify progressive taxation. Yet there is no warrant whatever for assuming equi-, or even more than, proportional benefit from government. In one model the alleged benefit from government is to be simply deduced from one's income, and it is claimed that this indicates a proportionately greater "benefit from society." But there are many flaws with this approach. For first, since everyone benefits from participating in society, the fact that A earns more than B must be attributed to individual differences in ability or productivity rather than to the benefits of society. And second, "society" - the pattern of voluntary exchanges of goods and services - is most emphatically not identical to the State, the coercive extractor of taxation. Moreover, the market is misconstrued by the benefit principle. For on the market people do not pay in accordance with benefits received. The chess addict and the indifferent players pay the same price for the same chess set, and the opera enthusiast and the novice pay the same price for the same ticket. On the market, people tend to pay the same price for the same good, regardless of benefit. The poor and the weak might be the most eager for protection, but, in contrast to the benefit principle, they would not pay more for the same degree of protection on the market. And finally, everyone on the market enjoys a net benefit from exchange. If the entire benefit were taxed away (assuming this subjective concept could be measured), then this practice would totally violate market principles, where net benefits from exchange are always maintained. But even the equal tax cannot be said to be neutral to the market. In the first place, it is impossible for observers outside the market, such as government, to gauge what service is "equal" to another service. Equality of service is not technological identity but similarity in the minds of the consumers. Only the free market, then, can determine different qualities or degrees of a service. Second, and even more important, there is no indication that for a particular taxpayer, the government is supplying a "service" at all. Since the tax is compulsory, it may well be that the "service" has zero or even negative value for individual taxpayers. Thus, a pacifist, philosophically opposed to any use of violence, would not consider a tax levied for his and others' police protection to be a positive service; instead, he finds that he is being compelled, against his will, to pay for the provision of a "service" that he detests. In short, equal pricing on the market reflects demands by consumers who are voluntarily paying the price, who, in short, believe that they are gaining more from the good or service than they are giving up in exchange. But taxation is imposed on all people, regardless of whether they would be willing to pay such a price (the equal tax) voluntarily, or indeed whether they would voluntarily purchase any of this service at all. Much the same thing has happened to the noble concept of neutral taxation. The idea that taxation, and therefore government's fiscal operation, should be neutral to the market - should not disturb the operations of the market nor divert it from its free course - is a noble but impossible one. As we have seen here, taxation can never be neutral to the market, and the impossibility of this dream is rooted in the very nature of taxation and government. Neutral taxation is merely a chimera. It is perhaps because of this impossibility that this concept, in the hands of the modern public-choice theorists and others, has so quickly become yet another device for ratifying the status quo of State power. We are forced, then, to the realization of crucial points from which free-market economists seem to have been fleeing as from the very plague. That neutral taxation is an oxymoron; that the free market and taxation are inherently incompatible; and therefore either the goal of neutrality must be forsaken, or else we must abandon the institution of taxation itself. Thus lobbying or other government-related activities by any business firm would not be neutral to the market. On the structure of production and capital, see among other works, Eugen von B�hm-Bawerk, Capital and Interest, 3 vols (South Holland, Ill: Libertarian Press, 1959), and Ludwig M. Lachmann, Capital and Its Structure (Kansas City: Sheed Andrews and McMeel, 1978). Both would be determined by the social rate of time preference as determined on the market, the premium of present as compared with future goods - an agio which would be the resultant of all the time-preference schedules by individuals on the market, in much the same way as consumer demand is the embodiment of the marginal-utility schedules of individuals. See Murray N. Rothbard, Man, Economy, and State, 2nd ed. (Los Angles: Nash, 1970), 1, chap. 6; Frank A. Fetter, Capital, Interest, and Rent: Essays in the Theory of Distribution (Kansas City: Sheed Andrews and McMeel, 1977), pt. 2. That is, each unit of each factor will tend to receive its discounted marginal revenue product, its marginal value productivity discounted by the rate of interest. So each unit of land and labor will tend to receive its DMRP, and the capitalist (or lender) will receive the discount (in the form of interest or long-run profit). Only in the never-never land of general equilibrium would each factor always receive its DMRP; in the real world, the positive or negative differences would reflect entrepreneurial profits and losses. See Rothbard, Man, Economy, and State, chap. 7. On the concept and implications of "demonstrated preference," see Murray N. Rothbard, "Toward a Reconstruction of Utility and Welfare Economics" (New York: Center for Libertarian Studies, 1977), esp. pp. 2-7, 26-30; reprinted in The Logic of Action One. This, however, is a long way from saying, with conventional neoclassical economists, that general equilibrium and perfect knowledge are facts of reality, or, with the rational-expectations economists, that the market always perfectly forecasts the future. If this were true, there would be no room for entrepreneurship at all, and the most dynamic and vital aspect of the market economy would go unremarked and unexplained. See Gerald P. O'Driscoll, Jr., "Rational Expectations, Politics, and Stagflation," in Time, Uncertainty, and Disequilibrium: Exploration of Austrian Themes, Mario J. Rizzo, ed. (Lexington, Mass: Lexington Books, 1979), pp. 153-76. For convenience, "members" and "donors" shall be used interchangeably throughout, although in many cases donors are technically not "members" of the organization. The lack of precise guidance in nonprofit organizations is not a criticism of their existence; this lack is simply a part of the nature of the case, and it is taken into account by the donors when they make their "investment" decisions in the organization. In a trivial sense, of course, being willing to accept a free gift by a charity is also a demonstration of preference by the recipient, but only in the trivial sense that he prefers more of a good to less. The recipient is not sacrificing any good or service in exchange. It is curious that statist critics of the market invariably denounce "production for [monetary] profit" as greedy and selfish, and instead uphold "production for use" as unselfish and altruistic. On the contrary, producers can only make monetary profits to the extent that they serve other consumers. Logically, altruists should deeply admire the successful pursuit of monetary gain on the market. It is also curious that many writers believe that the maximum-(monetary)-profit assumption for business motivation may have been true for personally owned nineteenth-century firms, but that it no longer holds for the modern corporation. On the contrary, it is precisely the modern corporation where "impersonality" of investment and producer decision will tend to dominate, since the personal wishes of single owners are no longer nearly as important. Unprofitable nepotism, for example, is far more likely to reign in the mom and pop store than in the large corporation. Burglars, as distinct from robbers, do not confront their victims directly and so present him with no choice; but they employ physical coercion by seizing his property without his consent. Franz Oppenheimer, The State (New York: Vanguard Press, 1926), pp. 24-27. Mises, Human Action, p. 196. We speak here of "voluntary" in the nontrivial sense that distinguishes it from the "involuntary" or "coerced" payment to thieves. In the preceding sentence, Schumpeter wrote: "The state has been living on a revenue which was being produced in the private sphere for private purposes and had to be deflected from these purposes by political force." Joseph A. Schumpeter, Capitalism, Socialism, and Democracy (New York: Harper and Bros., 1942). John R. Hicks, "The Valuation of the Social Income," Economica (May 1940), cited in Alex Rubner, Three Sacred Cows of Economics (New York: Barnes and Noble, 1970), p. 54. Hicks to Rubner, Sept 28, 1966. In Rubner, Sacred Cows, p. 54n. James M. Buchanan, The Public Finances, 3rd ed. (Homewood, Ill.: Richard d. Irwin, 1970), pp. 62-63. After identifying the essence of government as coercion, and after carefully analyzing each type of government and "political entrepreneurship," Montemartini concludes that "there are no public, or collective needs in the strict sense of the word, as opposed to private needs. It is always real individuals who calculate the advantages of imposing on the community the production of certain specific goods." And these individuals' valuations will differ; "The calculations of economic advantage differ from one associate to another when it comes to determining the needs to be satisfied collectively." Hence, the production of "collective goods" is always coercive: "The collectivization of the satisfaction of some needs always aims at a participation in the costs of economic units which would not voluntarily have so participated." Giovanni Montemartini, "The Fundamental Principles of a Pure Theory of Public Finance," in Classics in the Theory of Public Finance, Richard Musgrave and Alan Peacock, eds. (New York" Macmillan, 1958), pp. 150-51. Kenneth D. Goldin, "Equal Access vs. Selective Access: A Critique of Public Goods Theory," Public Choice 29 (Spring 1977): 60. Ibid., p. 61. Goldin amusingly adds: "A medieval lord could scarcely be a 'free rider' on a neighboring lord's defense efforts. If he did not have his own defenses, he would probably suffer attacks from his neighbor." Cf. Wicksell: "Side by side with the national army, many countries have voluntary rifle clubs and similar institutions which sometimes constitute no mean military force." Knut Wicksell, "A New Principle of Just Taxation," in Classics in the Theory of Public Finance, Musgrave and Peacock, eds., p. 90. Goldin, "Equal Access vs. Selective Access," pp. 61-62. Buchanan, Public Finances, pp. 25-26. Buchanan errs, however, in claiming that "few persons" would place a negative value on internal law and order. Pacifists would, and how "few" they may be will vary, and their number is unknown in any case. Even the existence of one pacifist negates the very concept of defense as a collective good, just as the existence of one anarchist negates the very concept of a collective good supplied by the State. Paul A. Samuelson, Economics, 6th ed. (New York: McGraw-Hill, 1964), p. 159. In his 10th edition, Samuelson, perhaps in an unacknowledged response to Professor Coase's noteworthy article (see below), gives the case away by adding, after "from each user" the words "without great difficulty" (p. 160). For he thereby concedes that lighthouses are not "collective goods." "The tolls were collected at the ports by agents (who might act for several lighthouses)�. The toll varied with the lighthouse and ships paid a toll, varying with the size of the vessel, for each lighthouse passed. It was normally a rate per ton (say 1/4d or 1/2d) for each voyage. Later, books were published setting out the lighthouses passed on different voyages and the charges that would be made." Ronald H. Coase, "The Lighthouse in Economics," Journal of Law and Economics 17 (October 1974): 364-65. Goldin, "Equal Access vs. Selective Access," p. 62. Coase, "The Lighthouse in Economics," p. 375. As Goldin remarks, "Lighthouses are a favorite textbook example of public goods, because most economists cannot imagine a method of exclusion. (All this proves is that economists are less imaginative than lighthouse keepers.)" Goldin, "Equal Access vs. Selective Access," p. 62. Since commercial airports are all owned by (largely municipal) government, the pricing of their runway and other services is scarcely akin to market pricing; generally, landing and takeoff fees are set far too low to clear the market, and the resulting shortage is rationed by increased and dangerous air congestion. See Ross D. Eckert, Airports and Congestion (Washington, D.C.: American Enterprise Institute, 1972). See Goldin, "Equal Access vs. Selective access," pp. 64-65. Cf., Melvin W. Reder, "Review of Baumol's Welfare Economics and the Theory of the State," Journal of Political Economy (December 1953): 539. Gustave de Molinari, The Society of Tomorrow (New York: G.P. Putnam's Sons, 1904), pp. 71-72, 84-86. In earlier years, this Belgian-born nineteenth-century French economist believed that all services now supplied by government could be supplied better and more efficiently by privately competitive firms on the free market. See Gustave de Molinari, The Production of Security (New York: Center for Libertarian Studies, May 1977); and David M. Hart, "Gustave de Molinari and the Anti-Etatiste Liberal Tradition" (history, honors thesis, Macquarie University, Australia, 1979). Spencer Heath, Citadel, Market and Altar (Baltimore, Maryland: Science of Society Foundation, 1957). For the most developed work on the Heathian proposal, see Spencer Heath, The Art of Community (Menlo Park, California: Institute for Humane Studies, 1970). Disney World is a spectacular example of a successful business firm supplying all of these services out of tourists' fees. Thus see Joseph R. Peden, "Property Rights in Celtic Irish Law," Journal of Libertarian Studies 1 (Spring 1977): 81-95; Bruno Leoni, Freedom and the Law (Los Angeles: Nash, 1972); and William C. Wooldridge, Uncle Sam the Monopoly Man (New Rochelle, NY: Arlington House, 1970). Gordon Tullock advances the curious argument that revolutions are impossible (or virtually so) because individual revolutionaries work and sacrifice whereas the entire public reaps the benefits; hence the public are free riders on the efforts of revolutionaries. (Gordon Tullock, "The Paradox of Revolution," Public Choice 9 [Fall 1971]: 89-99.) If he were consistent, Professor Tullock should therefore advocate that government tax people and subsidize revolutionaries in order to solve the problem of "underproduction of revolution!" In point of fact, of course, revolutions do take place from time to time, and they occur because much of the public has placed high on their values scales the success of the revolution. In short, a strongly held ideology among the public can overcome the free-rider problem for revolution. People's "interest" is not only job or immediate monetary payment, but also the attainment of such concepts as justice, liberty, and so on, none of which has any place in the economic calculus of the public-choice theorists. Herbert Spencer, Social Statics (London: John Chapman, 1851), chap. 19, "The Right to Ignore the State," pp. 206-16. Herbert Spencer, An Autobiography (New York: d. Appleton, 1904), 1, pp. 417-18. "S.R.," "Spencer as His Own Critics," Liberty 14 (June 1904): 2. Attacking the late Spencer's argument, in Man vs. the State, for taxation for defense based on the free rider, "S.R" points out that that Spencer "overlooked the fact that there are several methods of securing cooperation for necessary ends, some manifestly non-aggressive and consonant with the principle of equal freedom. It is, of course, unfair for any man to enjoy the benefits of peace and stability while declining to share the risks, sacrifices, and burdens entailed by actual and probable attacks from within or without; but such an unsocial and mean-spirited individual can be brough to terms by the boycott, material and moral." "S.R.," "Spencer and Political Science," Liberty 14 (February 1904): 2. I am indebted to Dr. David Gordon of the Center for Libertarian Studies for pointing this out to me. Even Professor Buchanan, one of the founders of public-choice theory, admits the subjectivity and hence the noncomparability of costs. James M. Buchanan, Cost and Choice: An Inquiry in Economic Theory (Chicago: Markham, 1969). If transaction costs are to be absolute and override all other considerations, then the transaction cost theorists are taking the very same position they deride in ethicists: that is, rendering their values absolute, with no trade-off for other values. If transaction-cost economists are to scorn ethicists for ignoring cost-benefit considerations, why are they to be allowed to ignore ethics? Professors Buchanan and Tullock and the public-choice theorists are the outstanding modern proponents of this theory, which was also enunciated by Professor Baumol. See William J. Baumol, Welfare Economics and the Theory of the State (Cambridge, Mass. : Harvard University Press, 1952), and idem, "Economic theory and the Political Scientist," World Politics (January 1954): 275-77. See Rothbard, Toward a Reconstruction of Utility and Welfare Economics, pp. 33ff. On collective goods and external benefits, also see Rothbard, Man, Economy, and State, 2, pp. 883-90. Knut Wicksell, "A New Principle of Just Taxation," in Classics in the Theory of Public Finance, Musgrave and Peackock, ed., p. 109. Thus, "S.R. "'s critique of the later Spencer's argument for compulsory military service, compulsory justice, and compulsory taxation, to the effect that there is "virtual unanimity" behind these forms of State action, pointed out: "The word virtual is fatal. The question is evaded, not answered. Has the one man, or the insignificant group of men, that refuses to support the State, even in the simplest of its functions, the right to stand alone, to ignore it? Spencer never refuted his own early demonstration of this right." "S.R," "Spencer and Political Science," p. 2. Here we might note the curious position of Laffer-Wanniski that the tax rate that maximized government revenue along the "Laffer curve" is, for some obscure reason, the point at which the electorate desires to be taxed. (Italics Wanniski's.) Jude Wanniski, "Taxes, Revenues, and the 'Laffer Curve'" in The Economics of the Tax Revolt, Arthur Laffer and Jan Seymour (New York:" Harcourt Brace Jovanovich, 1979), p. 8. Jean-Baptiste Say, A Treatise on Political Economy, 6th ed. (Philadelphia: Claxton, Remsen and Haffelfinger, 1880), pp. 412-13. Ibid., p. 413n. Say likens government to a robber at another point. He states that government's claim to a right over individual property, which it makes through taxation, is pure usurpation. The government is no more the proper owner of its claimed property than a thief over the property he has robbed. Ibid., p. 414n. Ibid., p. 452n. In a charming aside, Say chides Ricardo for erring because of his penchant for introducing "the unbending maxims of geometrical demonstration." For, "in the science of political economy, there is no method less worthy of reliance." Ibid., p. 449. Here we may note with amusement Fr�d�ric Bastiat's reaction to these passages of Say. In the light of Bastiat's reputation as a laissez-faire extremist" in contrast to Say's "moderation," we might note that Bastiat was shocked at the extremism of Say's views: Doesn't the State supply some services to the public? Frederic Bastiat, Economic Harmonies (Princeton, N.J.: D Van Nostrand, 1964), p. 567. In a famous passage, Thoreau wrote: "I heartily accept the motto - 'That government is best which governs least,' and I should like to see it acted up to more rapidly and systematically. Carried out, it amounts to this, which also I believe - 'that government is best which governs not at all.'" Or, as Tucker concluded succinctly: "That which governs least is no government at all." Henry D. Thoreau, "Civil Disobedience" , in Walden and Other Writings (New York: Modern Library, 1937), p. 635; Benjamin R. Tucker, Instead of a Book (New York: B.R. Tucker, 1893), p. 14. Thus Ludwig von Mises, by far the most thoughtful and systematic of free-market economists, devotes only a few unsatisfactory paragraphs to the subject of a neutral tax, or indeed to taxation in general While conceding the impossibility of a neutral tax in the real world, he maintains without demonstration that it would be possible in a world of general equilibrium. And, despite its conceded impossibility, he seems to advocate pursuing the neutral tax as an ideal. (He also does not explain why everyone's income would be equal in general equilibrium.) Apart from this, Mises maintains that taxes, despite "directly curtail[ing] the taxpayer's satisfaction," are "the price he pays for the services which government renders to � each of its members." He warns that taxes should remain "low," but the only criterion offered for this lowness is that they "do not exceed the amount required for securing the smooth operation of the government apparatus"; in that case, "they are necessary costs and repay themselves." We may here reiterate all the questions we've discussed above, emphasizing such problems as: How much service? To which members? How about pacifists? Who pays the necessary costs and who gets repaid and then some? And what exactly is the "smooth operation of the government apparatus," and [why] should that be the overriding desideratum? Mises, Human Action. Pp. 730-31, 733-34, 738. John C. Calhoun, A Disquisition on Government (New York: Liberal arts Press, 1953), pp. 14-18. Edwin Cannan, "Minutes of Royal Commission on Local Taxation," 1899," in Readings in the Economics of Taxation, Richard Musgrave and Carl Shoup, eds. (Homewood, Ill: Irwin, 1959), pp. 182-83. Walter Blum and Harry Kalven, Jr., The Uneasy Case for Progressive Taxation (Chicago: University of Chicago Press, 1953), p. 44. A similar critique could be leveled against any form of proportional tax, for example, on sales or property. In contrast to benefit theory, which na�vely assumes that people "purchase" government services in much the same way as they purchase goods and services on the market, at least sacrifice theory assumes in the words of Blum and Kalven, "that the taxes are a necessary evil falling up on a distribution of money, and therefore upon a distribution of satisfactions, which is otherwise acceptable." Uneasy Case for Progressive Taxation, p. 44. The basic problem with sacrifice theory is that it doesn't explain why people must bear the burdens of sacrifices of taxation, why that is, we must turn from talk of benefits and free choice on the market to talk to burden and sacrifice in the sphere of government. Adam Smith, The Wealth of Nations (New York: Modern Library, 1937), p. 777. Smith added immediately that "the expense of government to the individuals of a great nation, is like the expense of management to the joint tenants of a great estate, who are all obliged to contribute to their respective interest in the estate." Presumably, however, these tenants also get benefits from the estate greater than their pro-rata expenses, and if they do not, or even if they do, they can sell their share and leave - an option not available to the taxpayer. Mill put the case very well: "If we wanted to estimate the degrees of benefit from the protection of government we should have to consider who would suffer most if that protection were withdrawn: to which question if any answer could be made, it must be, that those would suffer most who were weakest in mind or body, either by nature or by position. Indeed, such persons would almost infallibly be slaves. If there were any justice, therefore, in the theory of justice now under consideration, those who are least capable of helping or defending themselves, being those to whom the protection of government is the most indispensable, ought to pay the greatest share of its price." John Stuart Mill, Principles of Political Economy (New York: D. Appleton, 1901), 2, pp. 398. In recent years, the poll tax was used to designate a voting requirement, in effect a tax on voting, in the southern states. But originally, the poll tax was simply an equal tax per head, and the payment for voting was simply one method of enforcing the tax. On poll taxes, see Merlin H. Hunter and Harry K. Allen, Principles of Public Finance (New York: Harper and Bros., 1940), pp. 265-70. Many early poll taxes were graduated rather than uniform. C.F. Bastable, Public Finance (London: Macmillan, 1895), pp. 433-34. Cited in Parker T. Moon, Imperialism and World Politics (New York: Macmillan, 1930), p. 132. In South West Africa, the British accomplished the same purpose with a dog tax, levied per native dog. "Many of the natives, of course, were too poor to pay any such tax, and consequently in four months over one hundreds members of the Bondelzwarts tribe alone were condemned, for non-payment of the tax, to pay a fine of two pounds or spend two weeks in jail. To obtain the money for tax and fines, the natives would have to work for white ranchers and mine-owners." Ibid., p. 504. Bertrand de Jouvenel, On Power, Its Nature and the History of Its Growth (New York: Viking Press, 1949). 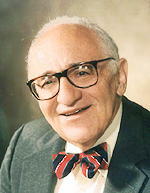 Murray N. Rothbard (19261995), the founder of modern libertarianism and the dean of the Austrian School of economics, was the author of The Ethics of Liberty and For a New Liberty and many other books and articles. He was also academic vice president of the Ludwig von Mises Institute and the Center for Libertarian Studies, and the editor, with Lew Rockwell, of The Rothbard-Rockwell Report.